Remember the nostalgia of opening a pack of cards? 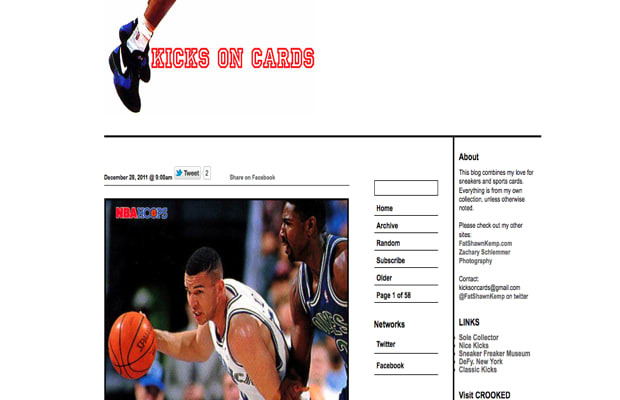 Well, Kicks On Cards conjures up that feeling all while breaking down all of the sneakers on said cards. Want to know what Mookie Blaylock was wearing in 1990? This is the place to go.